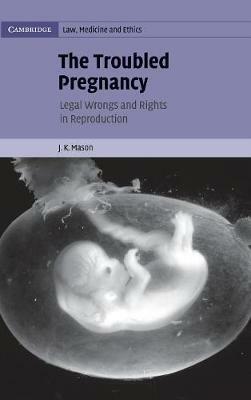 Mason looks at the legal response to those aspects of the troubled pregnancy which require or involve medico-legal intervention. The unwanted pregnancy is considered particularly in the light of the Abortion Act 1967, s.1(1)(d) and the related action for so-called wrongful birth due to faulty ante-natal care. The unexpected or uncovenanted birth of a healthy child resulting from failed sterilisation is approached through an analysis of the seminal case of McFarlane and associated cases involving disability in either the neonate or the mother. The disabled neonate's right to sue for its diminished life is discussed and the legal approach to the management of severe congenital disease is analysed - thus following Baroness Hale in believing that care of the newborn is an integral part of pregnancy. Aspects are considered from historical and comparative perspectives, including coverage of experience in the USA, the Commonwealth and Europe.